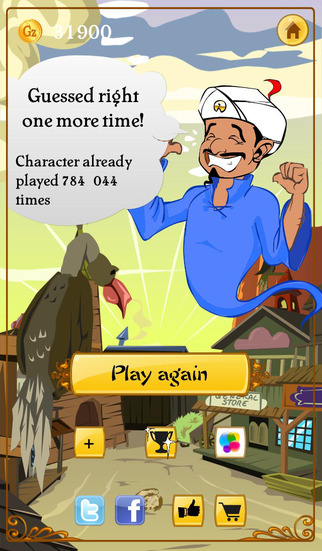 Akinator is game that can guess which character you are thinking of by asking you a series of Yes/No questions. 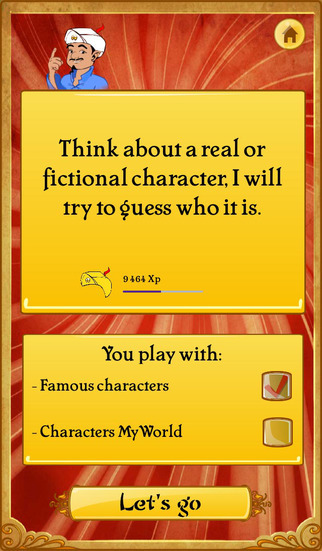 It is available as a free Internet web game, as well as paid Android, iOS, WP and BlackBerry mobile app. It also supports to play in more than ten different languages. A free Android version is available in Amazon Underground.